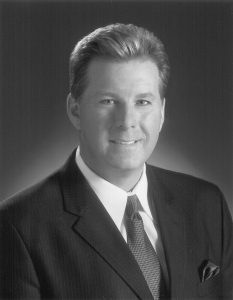 Cabot Rea is most widely recognized as a local reporter and television news anchorman for WCMH, the NBC affiliate in Columbus, Ohio. However, Cabot Rea is a gifted musician and actor. In 1978, Rea graduated from Otterbein College in Westerville, Ohio with a degree in music education. He taught music in Newark, Ohio, and was twice teacher of the year at Wilson Junior High. Also a professional singer and actor, Rea toured in a production of Camelot and was also the principal baritone at the Ohio Light Opera Company. He also obtained a Masters Degree in Vocal Performance from The Ohio State University School of Music. Rea started at WCMH in 1985 as a weekend sports and daily feature reporter for the station, and received an Emmy Award for a feature news story on Camp Reams, a corrections facility in Lancaster, Ohio. Rea briefly served as the co-anchorman on the nightly news at WWHO, the Columbus UPN affiliate. He teaches radio and television performance at Otterbein College. Rea has also served as a host of the Miss Ohio Pageant since 1986. October, 14 2015 Rea announced his retirement from broadcasting. His final broadcast will on December 18, 2015; exactly 30 years ago when came on air on WCMH as a sports anchor. Rea has a wife, Heather, and three children: Josh, Meredith, and Cassie. Cabot is familiar to BBC audiences, having appeared at the Palace, Capital & Southern Theaters and even at Dublin Scioto Park with the BBC as Guest Baritone Soloist & Emcee, but he also serves as a valued member of our BBC Board of Directors. Cabot Rea has joined the BBC on numerous occasions as Guest Vocal Soloist with his rich talents. “Heroes and Adventures” Concert on Sunday, May 21 at the Southern Theater in Downtown Columbus. October 15, 2006 at the Palace Theatre in Marion, Ohio. July 1, 2007 at our outdoor summer concert at Dublin Scioto Park. Most recently, Cabot acted as emcee for our 30th Anniversary Celebration Concert at the Lincoln Theatre in 2013.